Since her first screen roles, sporting a negligée and Mel Smith's vomit in a Smith & Jones sketch, then playing The Girl Who Smelt of Spam on Fist of Fun, Sally Phillips has always embraced a challenge. Best known for the Channel 4 sketch show Smack the Pony, in which she starred alongside Doon Mackichan and Fiona Allen, and as Steve Coogan's smirking hotel receptionist nemesis in I'm Alan Partridge, more recently she's been prominent as the eccentric friend of both Bridget Jones and Miranda Hart in her eponymous sitcom. Recent roles have ranged from Vanity Fair to Tim Vine Travels in Time; Trollied’s unhinged night manager to a feral criminal in Zapped. Armando Iannucci, the man of whom Phillips says 'I owe my entire career to', has certainly always appreciated her versatility and improv talent. 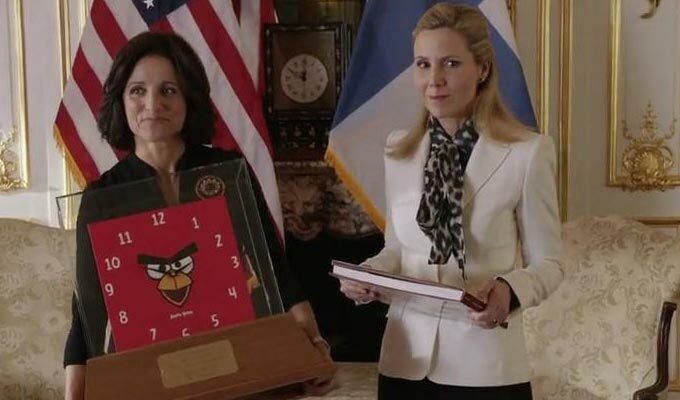 From being the 'whore in the helicopter', flying over Parliament to entrap an MP on his 1997 Election Night Armistice, he went on to cast her as Finnish Prime Minister Minna Häkkinen in the US political satire Veep. 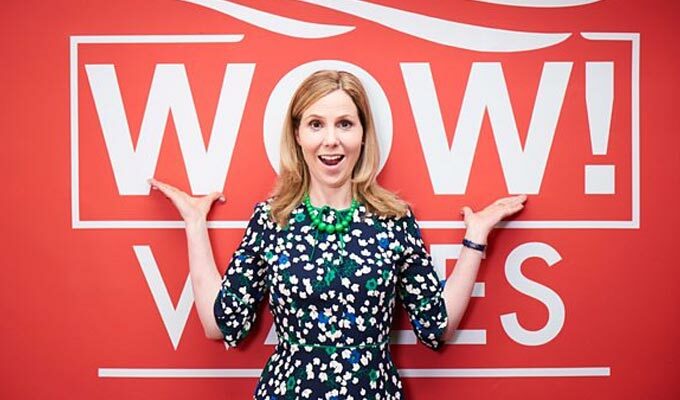 She resumes filming in Los Angeles this month, but before that she has been putting her improvising chops to the test again in The Tourist Trap, a mockumentary about the Welsh tourist board beginning on BBC One Wales tonight, co-starring the likes of Elis James, Mike Bubbins, Tom Price and Tudur Owen. And on Friday she recreates classic comedy scenes with her guests as the host of My Favourite Sketch, airing on Gold. In The Tourist Trap she plays Elaine Gibbons, an Englishwoman of the slightest Welsh heritage parachuted into leading the Wow Wales! campaign, and clearly in way over her head. And although she has 23 years of on-screen experience and reckons that 'the thing I'm particularly good at is improvising', she found the demands of ad libbing on The Tourist Trap set tough. 'In Veep, what's happening is already decided, there's a version of the script and you can do it like that,’ she explains. 'Once they've got what they need, you can have some freedom. So the odd scene they would just leave Julia and I improvising. With the main cast rarely appearing together on screen, The Tourist Trap is 'quick and cheap, probably the future of television' she suggests. 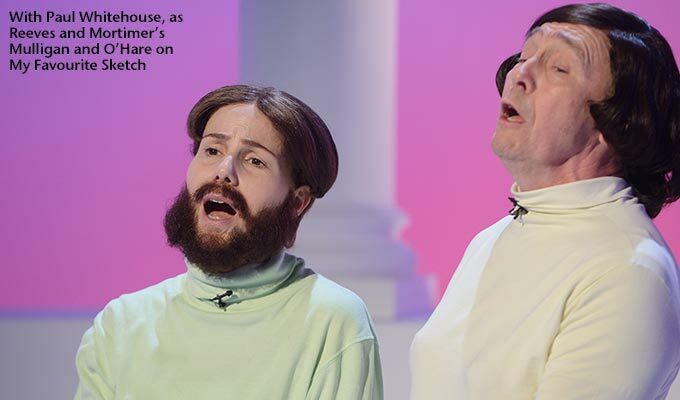 That’s not the view of sketch comedy, as she laments with Paul Whitehouse in the first episode of My Favourite Sketch, which has fallen out of favour with traditional broadcasters, who appear to perceive it as being expensive and usurped by internet memes. In truth, the BBC has recently made The Tracey Ullman Show, Famalam and Big Field. ITV is to air the hybrid Stand Up Sketch Show early next year. And there are even hints from Channel 4 that they might be ready to relax their blanket ban on the genre. Not before time, argues Phillips. The idea of the internet destroying the market on television is equally outdated. 'That seemed to be true. There was this boom of comedy-only digital platforms, the glory years between about 2005 and 2014' she says. 'But there's such a proliferation of material, both good and appalling online. She insists that ‘the appetite for sketch among the public hasn't diminished’, but that commissioners, who could act as quality control, ‘are still a blockage saying that the sketch show is dead’. Recording My Favourite Sketch, she's 'seen the affection people retain for sketches and the people that do them. 'With so much ranting in the world currently, there's something so elegant and civilised about sketch commentary. If it's not aggressive, it's sometimes more effective,’ she says. Smack The Pony, above, was revived for a Comic Relief special last year. And Phillips points out that its sketches still get millions of views on Facebook and YouTube. I wonder if she's considered making overtures to Netflix about an extended revival, as Mr Show's David Cross and Bob Odenkirk did recently. 'Well, I'm hoping we'll do My Favourite Sketch again and maybe we can interview [Cross and Odenkirk]' she replies. 'They were really cool about us letting them show their sketches. But Smack The Pony, we're always trying to do it again and no-one's interested. To be fair to the BBC's head of comedy, he was poised to make a comedy-drama about three sisters going through divorce with Phillips, Mackichan and Allen when he was a commissioner at Channel 4. But when Allen left for the corporation in 2012, the incoming Channel 4 boss Jay Hunt rejected the project, as 'she didn't want anything single camera except Black Mirror'. And so 'we got into this nightmare of taking it round the channels' Phillips recalls. 'It was a car crash. We'd written it for Channel 4 and then we had to rewrite it for the BBC or ITV brand'. When it got to ITV, they said, "we really like it but can they not be getting divorced and can they all really love each other?" At that point I lost the will to live and decided not to write it. 'It's so frustrating to get stuck in meetings where people are asking for things to be more zeitgeisty, which in fact means something dated. Because if we do our job right, we create the zeitgeist. Flying out to LA for Veep, she's seeking to continue working on a film she's developing with Louis-Dreyfus, 'the greatest comedy actor in the world', and Amy Poehler, set in a sloth sanctuary. Regrettably, that also stalled during Louis-Dreyfus's recovery from breast cancer, hitting an additional snag of 'there being a practical issue with the sloths. Also this month, Phillips, whose eldest son Ollie has Down's syndrome, is working on a film script in Sweden, provisionally titled My Big Fat Down Syndrome Wedding, a culture clash rom-com which is slated to star Tommy Jessop, an actor with the condition, and which she's co-writing with Swedish-Kurdish comedian Nisti Stêrk, with assistance from Nick Hornby. Veep and Bridget Jones have already provided Phillips with something of an international profile. And Sweden 'leads the world in diversity' asserts the actor, who has sometimes portrayed a Swedish mother empowered by her country's enlightened childcare support in her live comedy. Despite the mixed experience she had writing her first film, 2011's The Decoy Bride, which she felt was compromised by script changes forced upon her by the studio, and the disappointing box office of Jo Brand's The More You Ignore Me, in which she appeared this summer, Phillips sees her future in film. She prefers the close-ended story arcs to sitcom. And she reckons that the politics and economics of movie casting are more straightforward than in television. Consequently, after we spoke yesterday, she was meeting Ronni Ancona, who cameos in The Tourist Trap, to write yet another movie. Shooting in April, Palm Dog is 'a family fun movie' about the prize for best dog actor at the Cannes Film Festival, which the pair are making with some of the production team of the anti-festive, 'anti-Downton Abbey' movie, Surviving Christmas, which they're also both in and which will hit cinemas next month. Incredibly, all this and horror film The Rizen is not all that's currently on Phillips's slate. Despite being a single mother of three young boys, she is busier than ever. Having disclosed that her husband left her for a member of the Russian yoga federation, I put it to her that being so candid, and with her international upbringing, she should try stand-up. The daughter of a British Airways executive, she was born in Hong Kong and spent time growing up in the Far East, Middle East, Italy and Australia. Ultimately, stand-up might prove too time-intensive. So she's thrown herself into jobs like appearing with giggling distinction on the likes of curating the last series of The Museum of Curiosities on Radio 4 and appearing with giggling distinction on the like of Taskmaster (below) and QI, all of which she thoroughly enjoyed. 'With two salaries, my dream life would have been to do six indie films a year' she admits. 'But when my husband left, the priority became to stay at home with the kids. And jobs like panel shows are much better for that. I'm going to do one later today. Leave the house at 4.30pm, get home at 10pm. But I'm here to take the kids to school and pick them up. 'Two years ago I started doing what I thought was tacky stuff, through necessity, thinking it would negatively impact my career. But it hasn't been like that at all. And many people have actually suggested that I've had a career resurgence.